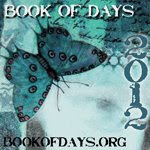 This is the cover of my Book of Days 2012 with Effy's group... This is my first serious, major, altered book. I have helped my grandson with one, but he really did it himself. My word of the year is " Acceptance"... The book will center around accepting what happens in life, the things I can change, and the things I can't. It's great therapy!!! Even the beginning has proven refreshing. 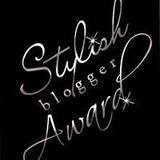 I hope to keep blogging about techniques used in this epic.. 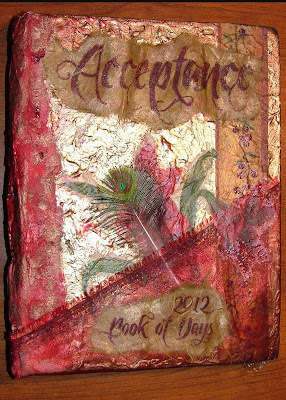 The cover of the book is acrylic paint, medium, napkin, feather, fabric, and mullbery paper.